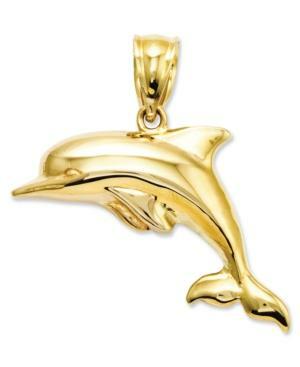 Make a splash with this darling dolphin charm. Crafted in 14k gold, this 3-dimensional charm looks like its jumping right out of the water. Approximate length: 8/10 inch. Approximate width: 9/10 inch.